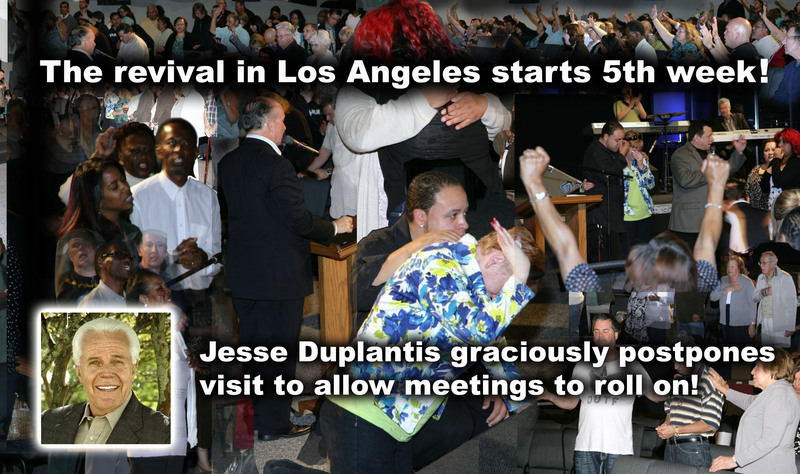 Los Angeles Revival will go on for a 5th Week! This is God! There is no doubt. Nearly 350 have come forward. An even greater number have been healed. People in Southern California have completely rearranged their lives to be in every one of these indescribable nights. We simply had to add this 5th week. 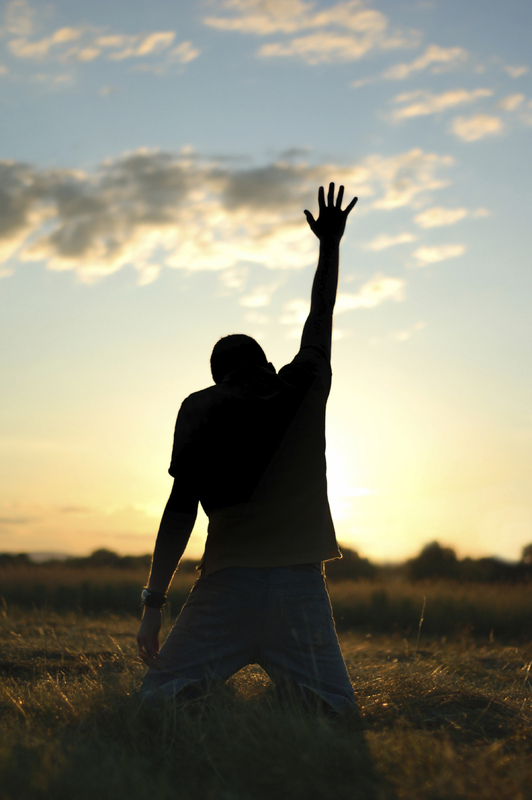 The rumbling of revival has not let up, it has intensified. There is no other way to do justice to this phenomenon but to call it the fire of God falling on the masses and destroying the works of the devil. To underscore the urgency of these meetings, I want you to know Brother Jesse Duplantis was scheduled to be at Echoes of Faith this Wednesday night but has graciously postponed his visit saying, “I do not want to get in the way of the moving of the Holy Spirit.” This only reinforces what a great man of God Jesse Duplantis truly is. I am beseeching Christians worldwide for prayer and to encourage people especially skeptics to come and see the miracles of Christ. Growths have vanished, limbs have been healed, and dozens have reported healings of diabetes, heart disease and a host of other diseases. The presence of God is intense and you get the feeling that any moment Christ Himself might physically appear. Like so many revivals I have read about in this case there seems to be a radiating presence even outside of the meeting hall in the general public that is softening them toward God and opening their hearts to be saved. These upcoming meetings already feel like the one in the book of Matthew where the men tore the roof off of the building! I have no doubt whatsoever that the intensity of the Glory is going to be more intense than ever in these next three nights. Where does it all go from here? This is why I am begging for nationwide, yea worldwide prayer. We have announced these as the final three nights. However, God is the only one who knows what the future holds. Nevertheless, you should assume that these are the last three nights and come if at all possible so you are not disappointed. 91762 Phone: (909) 627-0927. Childcare is available for all services. Mario’s note: This news item is not offered merely to spark rage but to soberly ask ourselves why this would be done so close to Easter. Even the professor might not understand his actions. The answer, in my opinion, is that darkness is agitated at this time of year because we recall and celebrate the resurrection of Jesus. And why was there no order to write Allah or Mohammed on a sheet of paper and stomp on it? We all know the answer to that question. It is because academic honesty is virtually gone. It is because the America that activist professors, politicians, and media are building has open hostility to Christ and His teachings. On the other hand, we can extract an important lesson from this story. 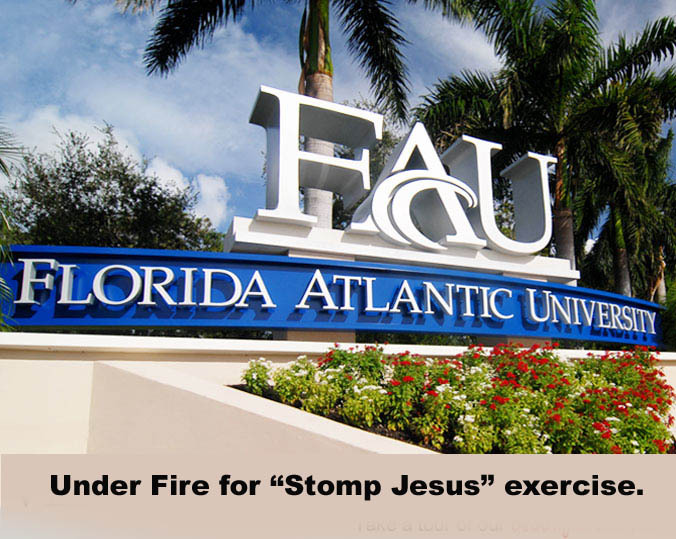 Someone spoke out and the University felt the heat and immediately took action. How sad that it was a Mormon who first spoke out. Our prayers and our voices can make a great difference right now. “Silence in the face of evil is in itself evil.” – Dietrich Bonhoeffer. 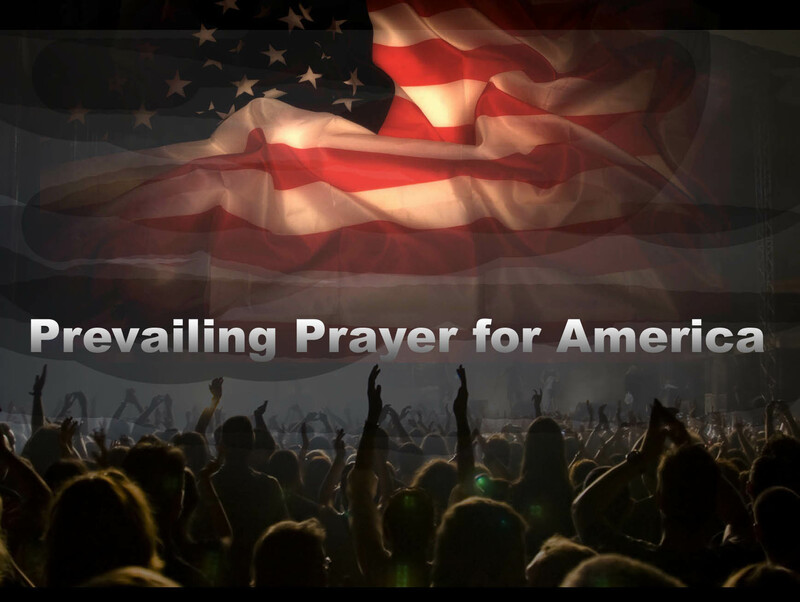 Prevailing Prayer for America’s Soul. Like many Americans who move to the suburbs, Tara Simons came to West Hartford, Conn., because she wanted her daughter to grow up in a nice, safe place with good schools. She and Alexis had to leave the house they were renting after she lost her job and a roommate. She got one-time aid from the city’s crisis fund to help with the down payment for her new, cheaper apartment. Still, the $1,125 rent eats up more than half of her monthly take-home pay. She mused that perhaps Alexis will go to University of Florida—which has a good women’s lacrosse team—and she could move down there, too. The two presidential choppers landed in the Palestinian presidential compound in Ramallah twenty minutes ahead of schedule. The force of their landing blew plumes of dust and litter over thin lines of ceremonial guards and bagpipers saluting the arrival. John Kerry, the US secretary of state, hit the red carpet first, followed byBarack Obama. The welcome ceremony lasted five minutes, with time for only solemn-faced handshakes and a reedy rendition of the Star Spangled banner before presidential entourage disappeared into Muqata’a building. The red carpet rolled up promptly behind them. The pageant of love Mr Obama has engaged in with Benjamin Netanyahu may have won over several Israeli hearts, but it may have caused considerable damage to his relationship with the Palestinians. The first 24-hours of Obama’s visit was marked with early morning rocket fire from Gaza towards Sderot, violating ceasefire agreed with Israel in November. Just 100 metres away from the Muqata’a, a small crowd of angry demonstrators gathered outside a Kentucky Fried Chicken, contained by flanks of riot police. “Obama get out”, they chanted in the direction of the president. “The right of return [for Palestinian refugees] is a red line,” an old man swathed in a keffiyeh yelled passionately. Ahmad, 27, was nursing a broken arm having been shot with a rubber bullet by Israeli soldiers during a protest at Qalandiya checkpoint last Friday but supported the demonstrators. “When he got the presidency, he said he would do lots for Palestine but he did nothing,” he explained. “Now Palestine is angry, as you can see. Most Palestinians hate Obama – he will only make more problems for us”. On his last visit to the Middle East in 2009, Mr Obama had made a soaring speech in Cairo saying that the suffering of the Palestinian people was intolerable. “America will not turn our backs on the legitimate Palestinian aspiration for dignity, opportunity, and a state of their own,” he vowed then. But this is exactly what most Palestinians believe he has done. Emerging from more than two hours of talks with the Palestinian leadership, Mr Obama squirmed on his podium next to Mahmoud Abbas when pressed on his position over Israeli settlements. “Based on my conversations with both Mr Netanyahu and Mr Abbas, I believe the possibility exists for a two state solution,” he equivocated. Settlement expansion was not “appropriate or constructive”, he said, stopping short of stating the US government position that Israeli settlement construction is illegal. “It’s important to continue with negotiations even if there are irritants on both sides,” he said. Hassan Mousa, 47, whose export business was forced to close due to the presidential visit, had no interest in hearing what Mr Obama had to say. Mario’s note: Remember when Obama promised us that he would improve our relationship with the Arab world? Obama seems to have a reverse Midas touch where everything that is gold turns into tin when he touches it. A government document shows tab for the Hotel Intercontinental Paris Le Grand came in at $585,000.50. Fear is a powerful motivator. As it turns out, it’s also a good political tool. But President Obama is taking it about twenty steps too far in his quest to hyperbolize the potential effects of the sequester. Seemingly every day now he’s trotting out another group – first responders, firemen, teachers – to highlight the potential disaster of the relatively small budget cuts. Homeland Security Secretary Janet Napolitano did her part to pour gasoline on the fire, saying that u.S. Immigration and Customs Enforcement has already released “several hundred” immigrants from detention facilities just in anticipation of the cuts. Even Democrats questioned the move. But perhaps the worst piece of political demagoguery of them all was the President announcing that the U.S.S. Harry Truman, which was scheduled to deploy to the Persian Gulf, will be staying stateside because of the cuts. The implicit message was that the sequester would threaten the United States’ ability to deal with the ongoing, growing threat posed by Iran, which is patently untrue. Nevertheless, the President wants you to believe the world is ending when the federal government will still spend $15 billion more than it did last year and 30% more than it did just five years ago. Why? Because fear works. And hyperbole sells. Obama an unqualified disaster in the Middle East. They like George Bush more than Obama. U.S is now less popular in the region than at the end of the George W. Bush administration. The White House has been lowering expectations for Obama’s trip to Israel all this week. If Israelis don’t like Obama, Palestinians are even less favorable. Obama has to assure Israelis and Palestinians that he is still engaged. President Obama’s first journey to Israel as president comes amid earth-shattering change in Middle East, much of it for the worse. The Arab Spring, which once raised hopes of freedom and dignity, has diverged onto the dark path of Islamist authoritarian rule. In Syria, tens of thousands of people have died in a bitter civil war that might have recently seen its first use of chemical weapons. And Iran continues its march toward nuclear weapons capability, heedless of international condemnation. Obama’s effort to seek peace between Palestinians and Israelis is in tatters. That’s why the White House has been lowering expectations for Obama’s trip to Israel all this week. He will announce no new peace plan, grand design or major foreign policy initiative. His advisers are calling the trip a “listening tour.” That is what you call a state visit when you have little to say. Despite downgrading the trip, many see Obama’s arrival as the sequel to his 2009 visit to Cairo, where he announced a “new beginning” with the Muslim world. Four years later, that doesn’t auger well for renewed efforts in Israel and the West Bank. According to the latest survey by the Pew Research Center’s Global Attitudes Project, confidence in Obama in Muslim countries dropped from 33% to 24% in his first term. Approval of Obama’s policies declined even further, from 34% to 15%. And support for the United States in Egypt, Jordan, Lebanon and Pakistan is lower today than it was in 2008 in the closing year of George W. Bush’s administration. That collapse of support has not happened elsewhere. In his Cairo speech, Obama pledged a relationship between America and Muslims around the world “based on mutual interest and mutual respect.” But in 2013, interests are diverging, and respect is in short supply. Of all the strained relationships in the Middle East, the partnership with Israel is the most important and potentially the most easily repaired. Obama is not popular in the country. A poll released last week showed he had a scant 10% approval rating in Israel, with an additional 32% saying they respect but don’t like him. But the president is making significant symbolic gestures to heal the breach, such as visiting the grave site of Theodor Herzl, the founder of modern Zionism. It’s being interpreted as showing support for the Jewish people’s historic connection to the land of Israel, something Obama avoided in his first term. If Israelis don’t like Obama, Palestinians are even less favorable.Washington’s perceived failure to take a harder line with Israel over the final status of Jerusalem, and U.S. opposition to President Mahmoud Abbas’ successful campaign for higher Palestinian status in the United Nations, have engendered a deep sense of frustration. 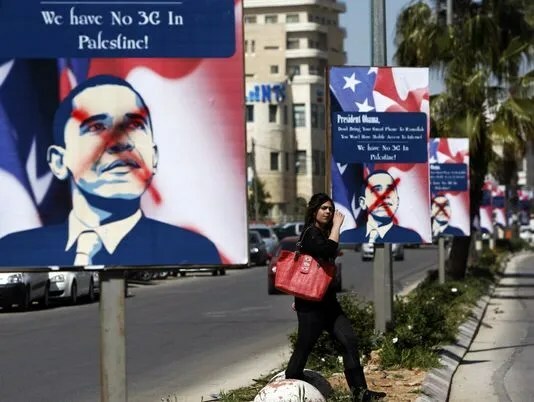 Passions spilled over in Bethlehem this week, when young Palestinians defaced a billboard with Obama’s image and burned pictures of him in the streets. Obama’s symbolic nods to Israel’s history are likely to raise Palestinian ire even further. The hope that Obama will say the right things in Thursday’s speech at Jerusalem’s convention center is negated by doubts he will follow through. The president has to assure Israelis and Palestinians that he is still engaged if the peace process has any chance of moving forward. In part, this means convincing them that he still matters. James S. Robbins is a senior fellow in national security affairs at the American Foreign Policy Council.